Garfield - BN Licensing B.V.
Lazy, cranky, sarcastic and always up for a snack or a fresh cup of coffee, he’s everyone’s favorite fat cat. The one, the only…GARFIELD! 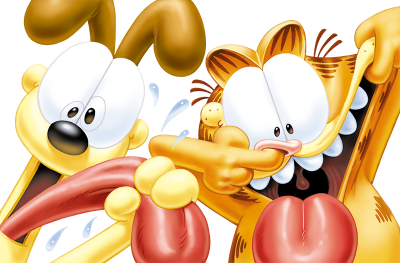 In between naps and lasagna, Garfield has managed to have the world’s most widely syndicated comic strip (according to the Guinness Book of Records) and a licensing program in 111 countries. Known by 95% of the world’ population, Garfield has won 4 coveted Emmy awards, his two movies have earned more than $135 million, his books have sold more than 135 million copies, and his daily comic strip is printed in 2,400 newspapers around the globe. Not bad for the self-described lord of laziness!